The event only place every two years. Next Edition 2019. The Offa’s Dyke footpath is is a 182 miles, and is a cherished National Trail. 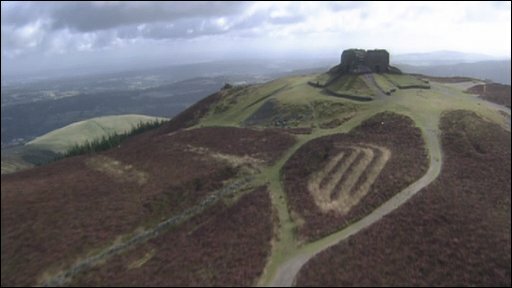 Offa’s Dyke is an earthwork defence built by King Offa of Mercia in 780AD. It separated Mercia and Powys (to some extent what are England and Wales today). The race is a few miles longer, due to lead in and out of some checkpoint locations, so stands at 185 miles. The event time limit is 90 hours, though it is not a multi-stage race. It can be tackled non-stop if you wish, though we expect most participants to enjoy some hours of rest and sleep at checkpoints along the way. All checkpoints will have food (hot food at most CPs) and drinks. You must carry mandatory kit with you at all times, but will have access to your drop bags along the route, and also your finish line bag will be waiting for you in Prestatyn. The route passes through the Wye Valley AONB (Area of Outstanding Natural Beauty), then climbs the Black Mountain skirting the edge of the Brecon Beacons National Park, passes through the Shropshire Hills AONB and finally the Clwyidian Range and Dee Valley AONB. The scenery is outstanding, but hand in hand with that, the relentless hills are very demanding. The 182 mile path features 9085 metres of elevation, which is an average of 50 metres per mile. In comparison, The Pennine Way has an average of just 42m of elevation per mile. One look at the elevation graph below should indicate just how much of a challenge this will be. Apart from one short 10 mile section, the razor-tooth profile tells you that you will be doing a great deal of climbing and descending. The event begins at the Southern end of the National Trail in Chepstow. Then heads North, through Monmouth, passing countless historic buildings and castles, before climbing to 703m on the Black Mountain, then descending to the Town of Books Hay-on-Wye. You journey on through Kington and Knighton (home of the Offa’s Dyke visitor centre). The Clun Hills will challenge you next, reaching the 100 mile point at Montgomery. Then onward to the Beacon Ring hill fort on the outskirts of Welshpool, before finally enjoying that all too brief, but long-promised 10 mile flat section. After Pant the race takes you to a very special location. 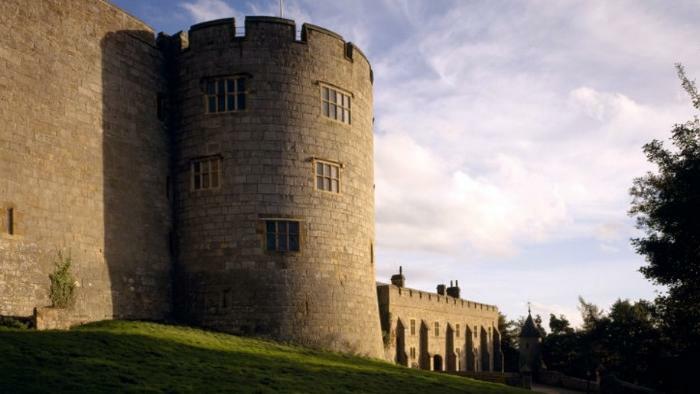 An invite from The National Trust, allows us to follow the original course of the Offa’s Dyke to a checkpoint in the grounds of the spectacular Chirk Castle. You travel on to Froncysyllte, past the famous heritage site and aqueduct (you can divert to travel along the aqueduct if you wish, as it runs parallel to the route). Through the Vale of Llangollen and onto the Clwydians to experience the relentless up and downs of the ancient hill forts including Moel Arthur and Moel Famau, before the final miles to the coastal town of Prestatyn where your hard earned reward awaits.